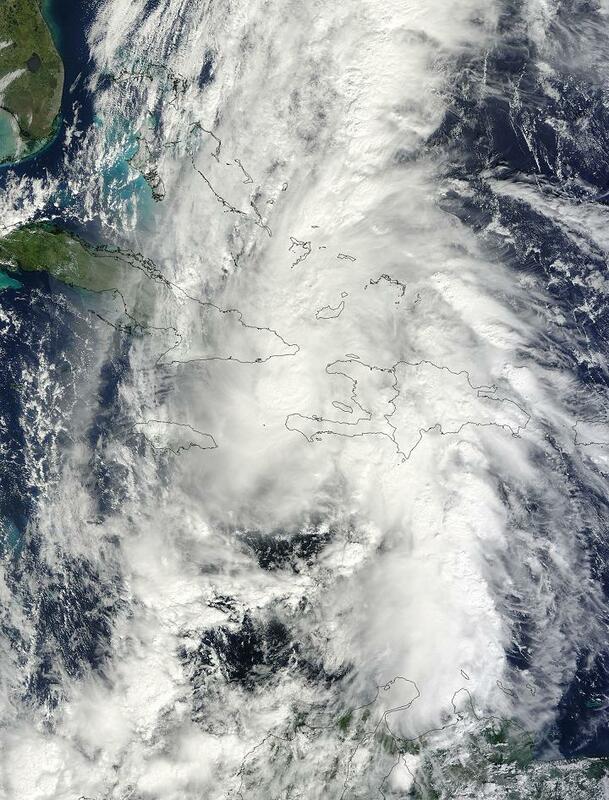 Hurricane Tomas over Haiti, Cuba, Jamaica. Most of the flooding occurred in Leogane and Port-au-Prince – home to three parishes of ROCOR's Haitian mission. Most mission members still live in tents. Although their situation is unknown, Associated Press sources tell us that tent camps were not destroyed. According to Archpriest Daniel McKenzie (Miami), head of the Orthodox Mission in Haiti, “Before the hurricane came, mission members gathered at Fr. Gregoire’s house with supplies” to weather the storm together. It is currently impossible to reach members of the ROCOR mission in Haiti.